Your files have been uploaded successfully and our Customer Service team has been notified. Our core focus is creating and delivering the highest quality products and services through fully integrated communications, marketing, and print media. Quality, Value, and Reliability are just a few of the reasons to Integrate us into your next project! Integrated Graphics combines the best of both worlds! Conventional Printing and Digital Printing are our core services. 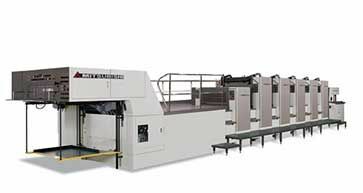 From short run digital and wide format output to larger offset conventional printing. We can help get your project completed quickly with our short turnaround times. Our newer four through five color Mitsubishi presses are meticulously maintained by the artisans who use them every day. These presses produce high quality printing to ensure your marketing pieces reflect the high quality of your company. Integrated Graphics is also one of the country's largest providers of variable data and digital materials; This is the ultimate in personalization technology. What would you think if you picked up a direct mail piece that addresses you throughout, and saw people just like you with common interests and needs....needs that can be met by your product or service. That's a powerful sales tool! You can enjoy high-quality printed materials without the expense of film and proofs. Plus, this printing option has quality that rivals conventional offset printing. Our new full color digital Fuji J Press allows us to print your materials with quality that can match and even exceed traditional offset. With a larger size capability than traditional toner based digital we can produce everything from business cards to full size pocket folders. Traditional offset presses can't be beat for larger runs, or for speciality colors. 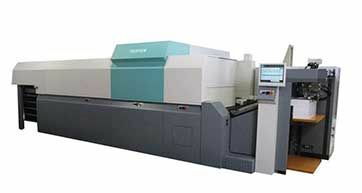 Our four and five color Mitsubishi presses include various coating options to enhance any product. 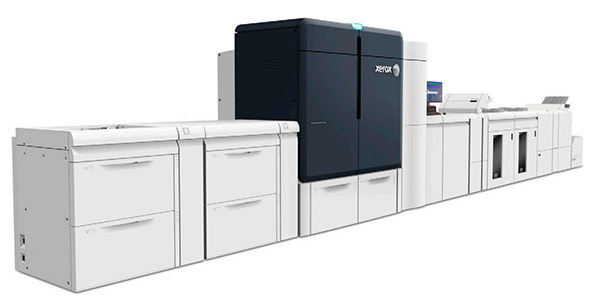 For long run full-color digital runs the Xerox Iridesse delivers fantastic turnaround times and great quality. 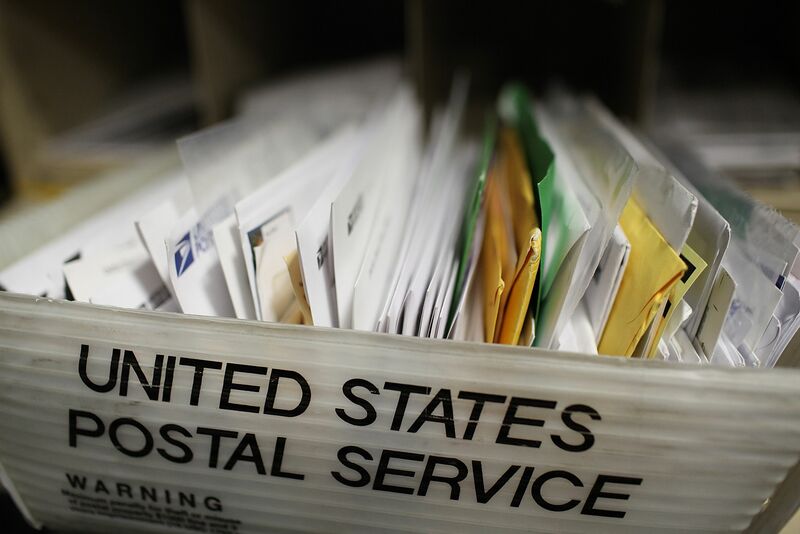 We have mailing experts on-site who work closely with the U.S. Postal Service to provide cutting edge mailing efficiencies and opportunities. Whether it's a list provided by you or one you've purchased through us, we offer a suite of services to ensure your mailing is as effective as it can be. With us you don't have to worry about wasted postage, mailing materials or missed opportunities. We have the ability to match every address in your list to the USPS database and make any necessary corrections; merge data from multiple sources; de-dupe your list smartly so you can be assured that one piece arrives per individual/per household; perform a National Change of Address to ensure your important message gets to the recipient even if they've moved; and much more. With an on-site USPS employee for plant verified drop shipping we're able to reduce the time it takes for your mail to be accepted by the USPS. This allows us to provide you quicker turnaround times, less service charges, and greater quality mailings. Our close relationships with shipping partners means we can offer you the most competitive mailing costs. Whether it's First-Class, SCF, NDC, Commingle, or Consolidated. We're able to find the right solution for your delivery needs. We know data. Our team of data specialists have worked with numerous data providers and data cleansing services. If you're looking for the cleanest, most accurate, highest response rate list - we're able to provide you with the services to make your campaign a success. Our on-line services allow you to control your printing, image, marketing, inventory and costs. Every current and past project is available to you through our exclusive online library. We allow clients to complete job tracking from start to finish. You see your project come alive in real time! We also can provide a tool for online fulfillment. We offer state-of-the art computer based inventory management systems, which allow us to process orders 24 hours a day, and give accurate detailed reports. Our just-in-time, pick and pack distribution system enables us to get your materials out the door quickly and accurately. As a client, you'll have access to an easy to use, secure website where you can place "ship-from-inventory" requests 24/7. You can see images of your inventory online along with quantity on hand, backorders, shipment history and tracking numbers. You'll receive automatic notification as soon as an item reaches its low stock level. You can even place re-order requests online. You always know exactly what you have and where it is at all times! We understand print and marketing is your ambassador to future customers. We'll make sure your first impression is the absolute best it can be! Thank you for sending your files. We'll follow up with any questions to get your project started. © Copyright 2018 Integrated Graphics, Inc. Please wait for your upload to finish. You will be redirected once ready.